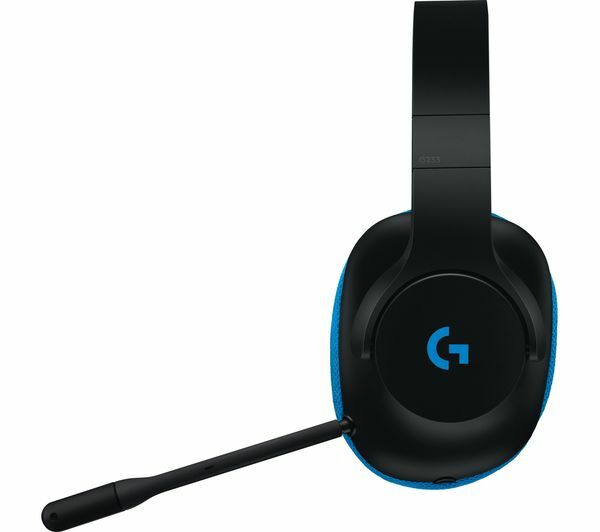 The Logitech Prodigy G233 Gaming Headset features Pro-G audio drivers which uses a hybrid-mesh material to provide you with deep base and clear highs. 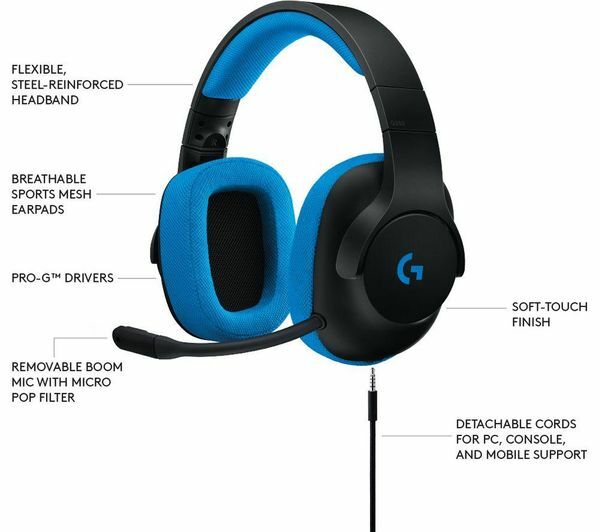 There's low levels of distortion so everything sounds crystal clear, so you can hear your games the way they are meant to be heard. 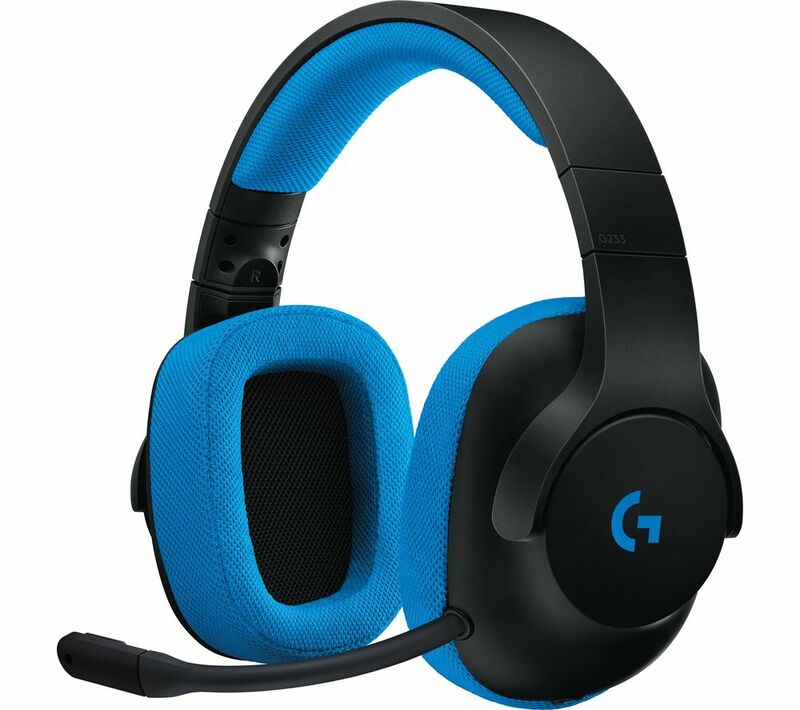 The G233 Headset is Discord certified, which means you can expect crystal clear sound. 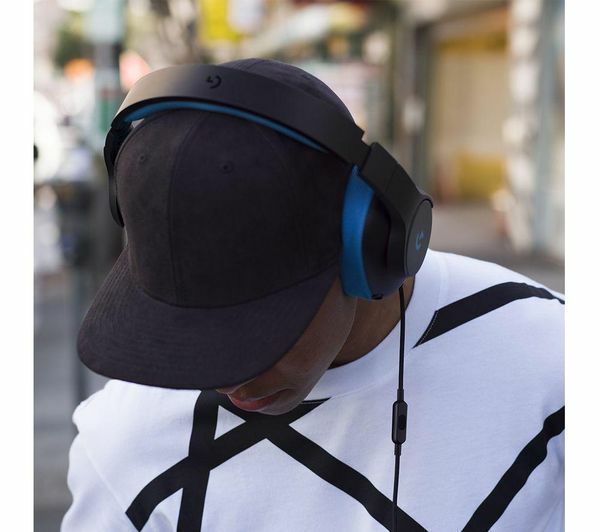 The drivers are designed for analog and digital sound, no matter the source. 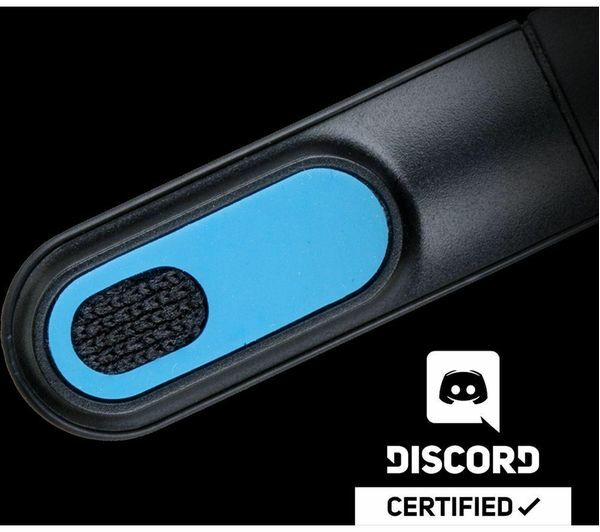 There's also a detachable noise-cancelling boom microphone that lets you chat to your clan, and the micro-pop filter captures every word of your conversation. 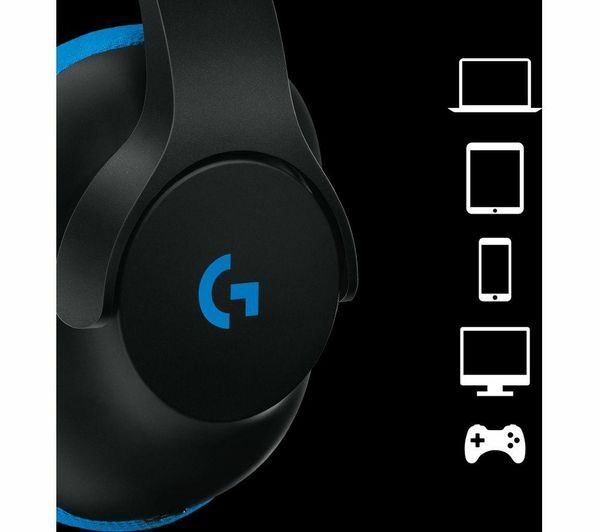 You can use this headset with your consoles as well as your gaming PC, so you'll be able to enjoy gaming on any platform. 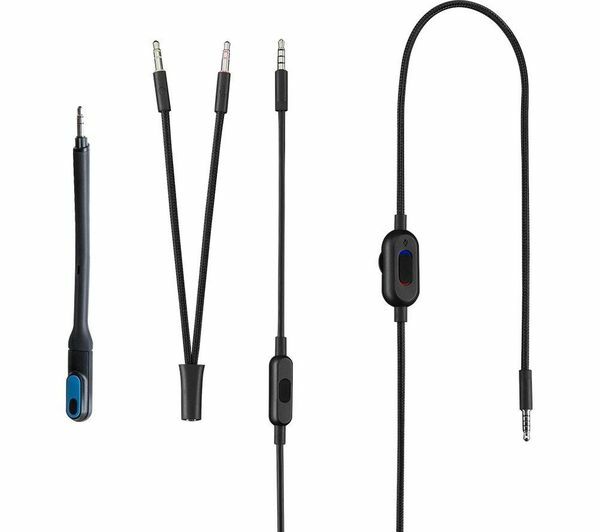 There are some audio cables included, so you'll be able to plug straight in to most controllers (adapters sold separately). 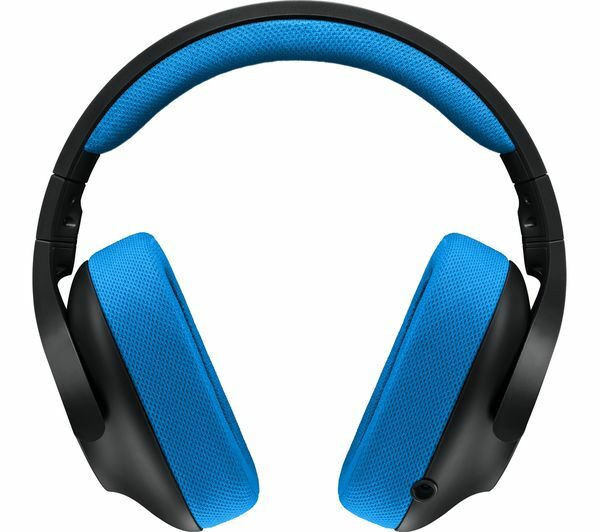 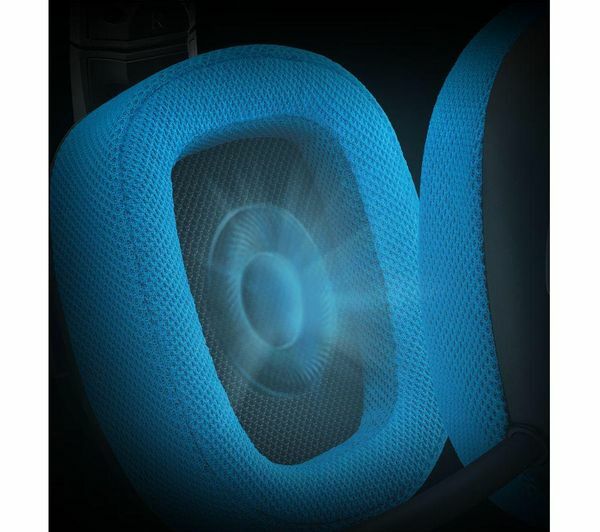 It's even suitable for taking out and about with you, so you can still enjoy high quality sound when you're not gaming.